Tye signed a reserve/future contract with the Eagles on Monday. 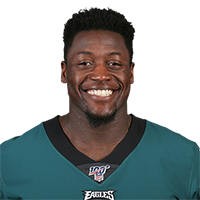 Analysis: Tye signed to the Eagles' practice squad in November after being waived by the Patriots with an injury settlement prior to Week 1. 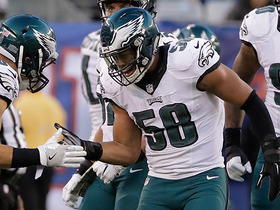 The tight end will have a chance to impress during the 2019 offseason program and training camp, but may have a hard time cracking Philadelphia's 53-man roster with Zach Ertz, Dallas Goedert and Richard Rodgers all occupying the depth chart. The Eagles signed Tye to their practice squad Tuesday. Analysis: Tye was waived by the Patriots with an injury settlement in early September. The 27-year-old tight end has 94 receptions for 897 yards and four touchdowns in 32 career games. The Eagles are pretty set at the tight end position with Zach Ertz and Dallas Goedert, though it doesn't hurt to have an insurance policy waiting on the practice squad. The Patriots waived Tye (undisclosed) off injured reserve with an injury settlement Thursday, per the NFL's official transaction log. Analysis: Tye cleared waivers and reverted to injured reserve at the start of September. The 26-year-old had 90 receptions for 859 yards in his first two years with the Giants, but he's been unable to find any footing with the Jets and Patriots over the last two seasons. Tye (undisclosed) cleared waivers and reverted to injured reserve, according to the league's official transaction log. Analysis: While the nature of Tye's injury isn't clear, the tight end is now set to spend the 2018 campaign on IR unless he agrees to an injury settlement. Tye (undisclosed) was waived/injured by the Patriots on Sunday, Doug Kyed of NESN.com reports. Analysis: Tye signed a reserve/future contract with the Patriots back in February, but it looks like an injury ultimately cost the tight end a chance at a final roster spot. He will revert to the Patriots' injured reserve list once he clears waivers. Tye signed a reserve/future contract with the Patriots on Tuesday, Mikes Reiss of ESPN.com reports. Analysis: Tye joined the Patriots' practice squad after being released by the Jets in early October. He has proven to be a contributing tight end, recording back-to-back 40-plus reception seasons with the Giants starting in 2015. All the tight ends on New England's roster are under contract through next season, so Tye will need to separate himself from the pack this offseason if he hopes to make the 53-man roster. 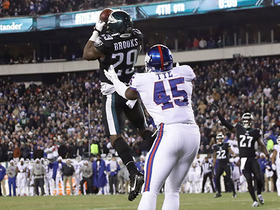 Philadelphia Eagles safety Terrence Brooks picks off New York Giants QB Eli Manning to seal an Eagles victory. 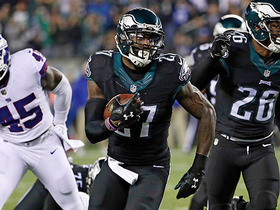 Philadelphia Eagles safety Malcolm Jenkins returns New York Giants QB Eli Manning's pick for the 34-yard TD. 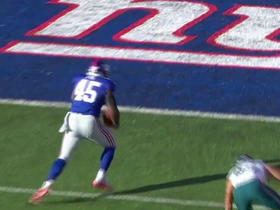 New York Giants tight end Will Tye picks up 16 yards off reception. 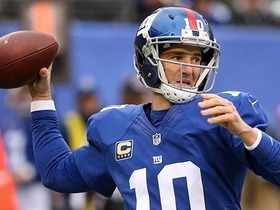 New York Giants quarterback Eli Manning connects with tight end Will Tye for 9-yard touchdown. 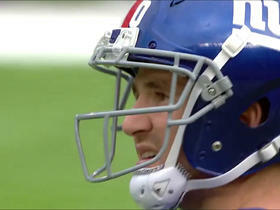 New York Giants QB Eli Manning hits tight end Will Tye for 25 yards. New York Giants quarterback Eli Manning is picked off by Philadelphia Eagles linebacker Jordan Hicks, who makes an athletic play for the turnover. New York Giants quarterback Eli Manning throws his second interception of the day to Baltimore Ravens cornerback Tavon Young. 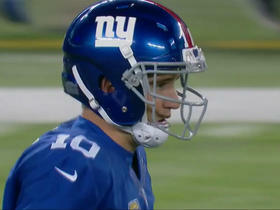 New York Giants QB Eli Manning hits his tight end Will Tye for 27 yards. 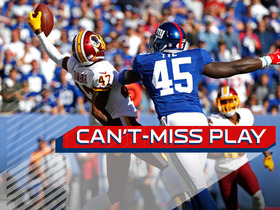 Washington Redskins cornerback Quinton Dunbar intercepts New York Giants quarterback Eli Manning, stopping the Giants' drive. 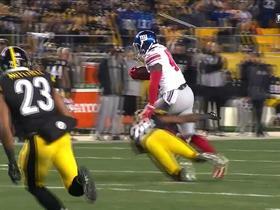 Giants Eli Manning hits Will Tye for 9-yard TD.